As many a Sprite or Midget owner knows, options for fine tuning the adjustment of the front suspension are fairly limited. Offset bushings are one of the most effective ways to achieve a camber change. 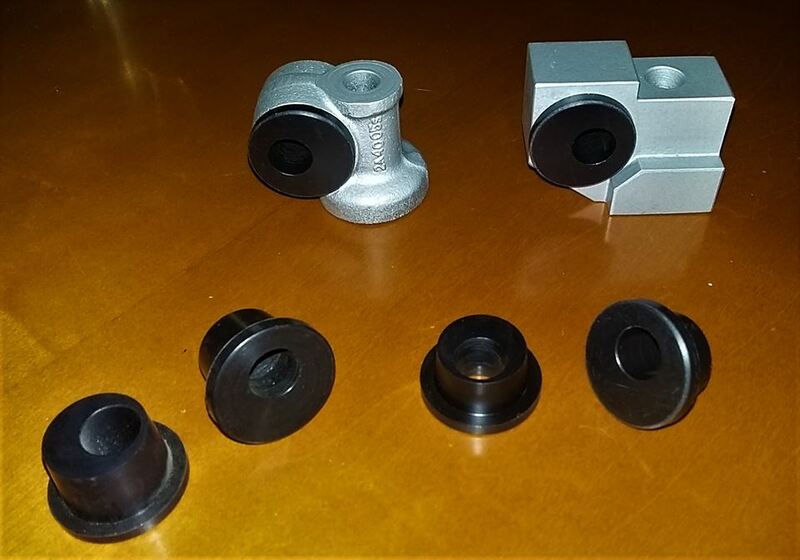 Unlike others offered in the aftermarket, ours have the correct fit and are made of DELRIN which is far more resistant to cracking or chipping than the other commonly used materials (nylatron or molybdenum impregnated nylon). They are available as a set for the upper trunion only, the lower control arm only, or a complete upper and lower set.